I was wandering around today, killing time till I had to pick up our son, so I stopped in Half Price books. In the case of collectible books, I found Lilly Dache's book, "Talking Through My Hats." It's a first edition. And it was half price. A half price book, at Half Price books. Does that make it a quarter price book? No worries -- I snapped that little tome up quicker than you can say "hat," and now I can't wait to read it. I'm on the lookout for Ms. Dache's Glamour Book, and life might just be complete. 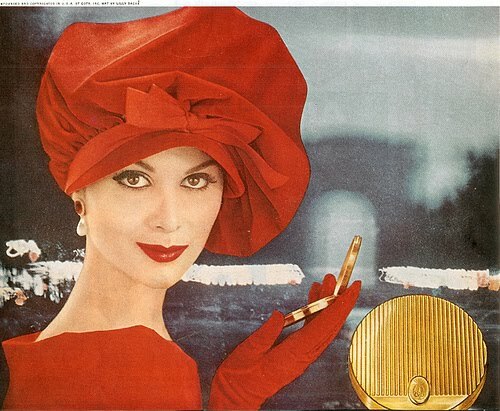 Lilly Dache hat, above, from 1958. I want this coat. Badly. In MANY colors. Pure Lucy. Very flattering. Wearable for every shape. 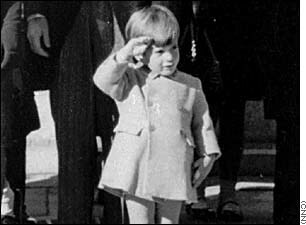 I will obey the bracelet length sleeve style and wear gorgeous gloves with it. Click to buy from my friend Tina, at What-I-Found. Then make it for me, please. In red, cream, slate blue, and houndstooth. I'll supply the gloves. When you look at vintage clothing, you see a lot of alliterative names. 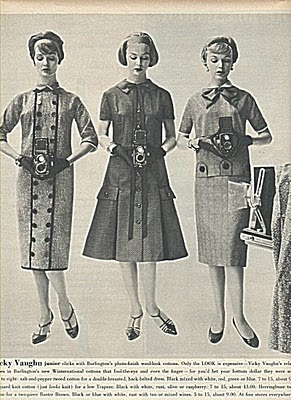 I'm not sure why, but the history of mid century fashion is full of names like Toni Todd, Vicki Vaughn (photo, left, click to buy), pattern companies like Barbara Bell, Anne Adams, and Marian Martin. What's up with that? I'm not sure. Maybe they were just catchy, but you don't see that much anymore. 'Splain it to me Lucy. 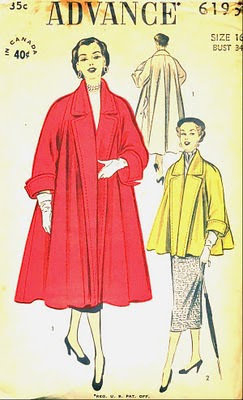 Enjoy this Balenciaga fashion show -- the first part is 1965, the second part is 1952. It's funny how so few of these styles feature sleeves. Balenciaga loved sleeves, and frequently started with the sleeve as his inspiration. Most of these styles are sleeveless, which I find fascinating. Everything is, of course, very tasteful, since Balenciaga had no tolerance for a) vulgarity and b) bad taste. How much tulle do you suppose that 1952 gown took?